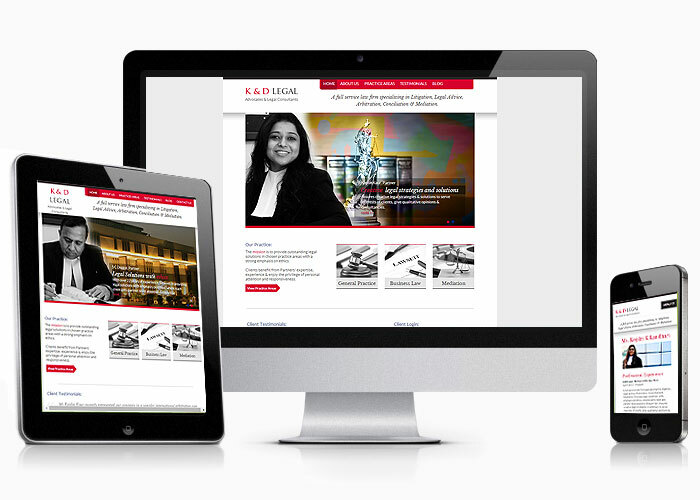 K&D Legal's partners wanted a clean and professional website for their law firm based in New Delhi and approached us with their requirement. Our team of visualisers created a concept routed around the two partners of K&D Legal, the two strong pillars and a website design was built and developed on Wordpress. A responsive website design, professional with a clean layout, strong navigation and blog updates on the homepage was developed and launched online. Services offered: Responsive website design, coding on wordpress, blog and search engine optimisation.